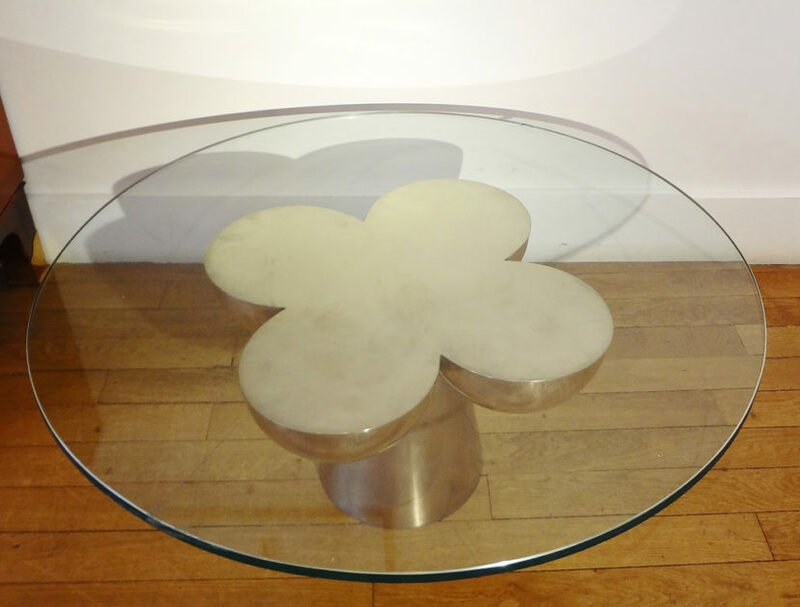 Table basse Fleur par Emile GILIOLI, 1970. 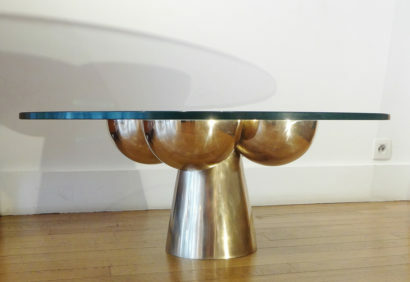 Sculpture en bronze poli et plateau de verre circulaire. Signé, numéroté 2/8, cachet de fondeur Tep. Haut.35 x diam.88 cm. (Bronze H.33.5 x D.54 cm). Lovely bronze Flower or Clover coffee table, 1970. 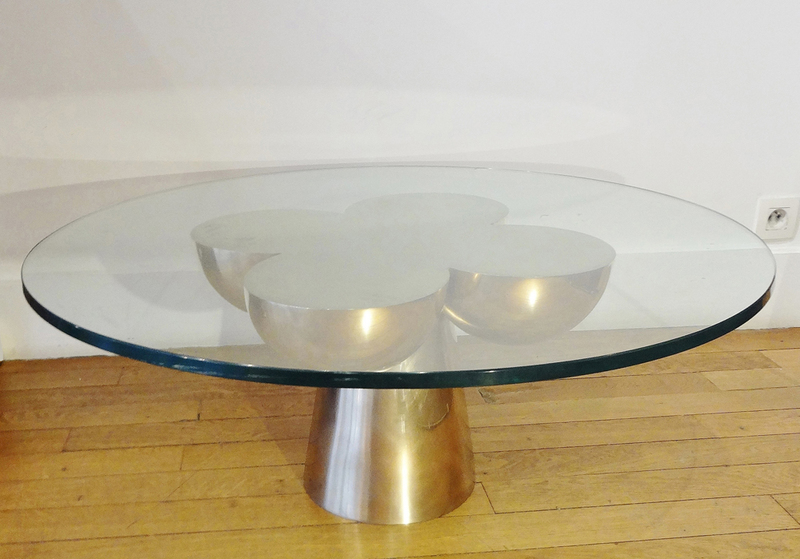 Gilpt polished bronze sculpture, with a circular glass top. signed and numbered 2/8, with Tep stamp. Ht with top 13 ¾ x d.34 2/3 inches. Bronze Ht 13 ¼ x d. 21 ¼ inches. Ref : Mention de cette sculpture dans les registres des Archives Gilioli.